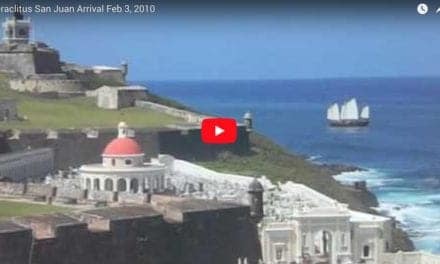 This week, the expedition ship Heraclitus returns to San Juan for the first time in sixteen years. 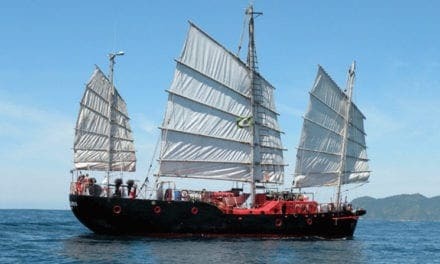 The legendary three masted ferro-cement Chinese junk will visit Puerto Rico until April, when it departs for the Mediterranean. The vessel is on a ‘Coral Sea to Black Sea’ expedition that began in Australia in 2006. In March, the crew will host tours, lectures and performances at the pier in San Juan. 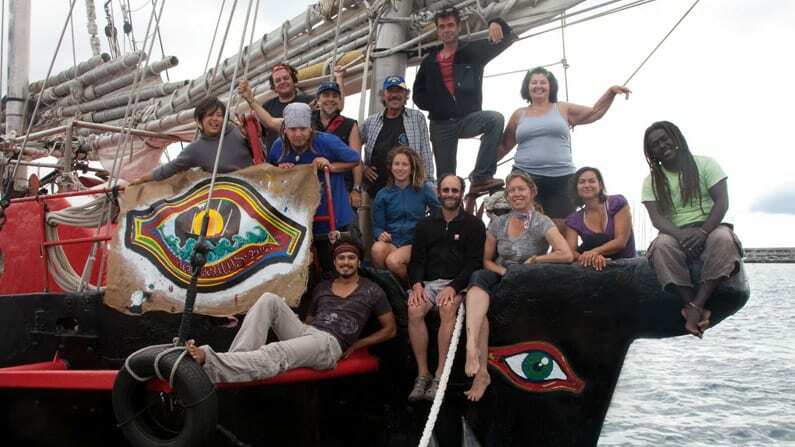 Its current volunteer crew is composed of adventurers, students and artists from around the world. 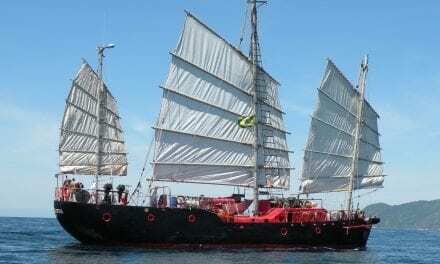 Since its construction and launch in 1975 by the Institute of Ecotechnics, the Heraclitus has sailed over 250,000 nautical miles through six oceans (all except the Arctic) and up the Amazon River. Its many expeditions have studied such subjects as cetaceans, meteorology, coral reefs, and cultures that live on the water. 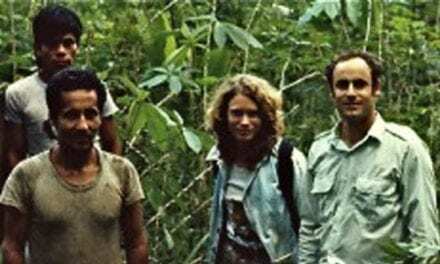 The ship’s 1983 expedition ‘Around the Tropic World’ was launched from San Juan, as well as the 1986 ‘Circumnavigation of South America’. On its return from the Antarctic in 1989, Hurricane Hugo sank the Heraclitus, along with 1500 other ships in the San Juan harbor, but her crew and friends raised her within three weeks, and its voyages continued. The Sea People Program onboard offers apprentices the chance to train in seamanship and to participate in adventure and exploration. The crew lives a present-day embodiment of the millennia-old tradition of Sea People, cultures that live on oceans, coastal waters, lakes and rivers.